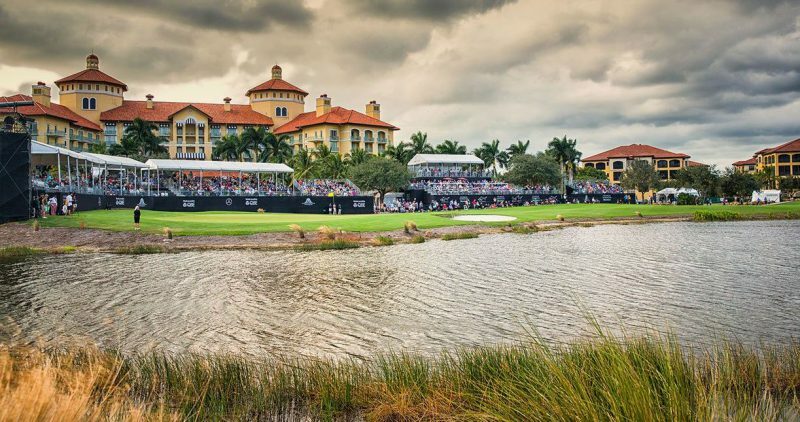 The biggest event on the golfing calendar this week is an unusual one in the shape of the QBE Shootout in Florida. The shootout is a three-day 54 hole event, played with three different formats. The first round is a scramble, with each player player their own tee shot before deciding which shot to use and then both hitting from that position – and that is repeated for each shot thereafter. The second round is greensomes – alternate shots, before fourball – every player using their own ball, is played in the final round. An unusual event, and although it is played in the PGA’s off-season it is very popular with over $3million in prize money. FIELD: Only 12 pairs in the field – but an intriguing line-up for sure with Steve Stricker and Sean O’Hair the defending champions. 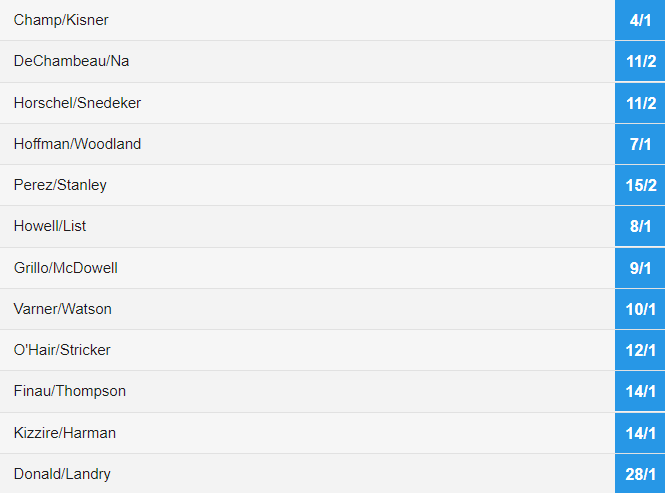 Kevin Kisner and youngster Cameron Champ are favourites going into the tournament, whilst LPGA star Lexi Thompson takes part once again teaming up with Tony Finau for a second season running. QUOTES: Ladies star Lexi Thompson is delighted to be back again alongside Tony Finau. “He’s so nice and just getting to watch his game for the first time is very impressive,” she said. A strange week without a huge event, but I do like the shootout as I am fan of match-play. 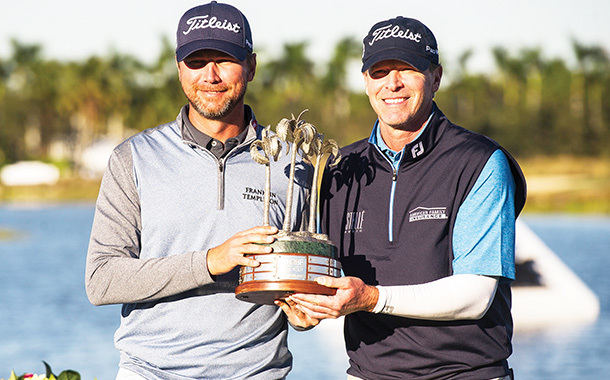 Looking at possible winners, Stricker and O’Hair have to be respected for what they did last year and some great scores, but I would go for DeChambeau and Na, not sure they will be the best watch but they could very well come out on top.